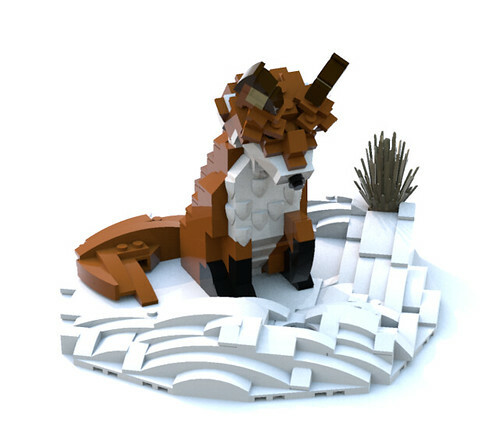 A wintery display base for my Red Fox model. Measures 7 inches in diameter (17.5 cm). Features 2 snow banks with a dried up plant in the back and a burrow entrance in the front. Center is flat with a stud attachment for the fox.